To characterize the composition, density, surface area, biomass, and spatial distribution of trees, saplings, and understory vegetation in a chronosequence of eight Douglas-fir/western hemlock stands ranging in age from 50 to approximately 950 years. The following datasets and designs are associated with the study. Van Pelt, R., and N. M. Nadkarni. 2004. 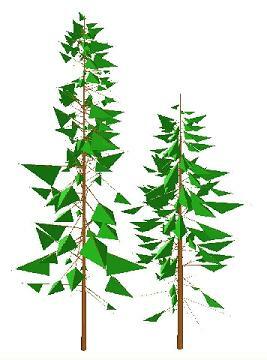 Development of canopy structure in Pseudotsuga menziesii forests in the southern Washington Cascades. Forest Science 50:326-341. The publication is available for download below in the links section. © 2003-2008 by The Evergreen State College, The Scientific Database Lab and The Canopy Database Project. Please e-mail us at scidb@evergreen.edu with questions or comments or to request a login so that you can add your study to the Study Center.